We love hero dog stories here at Buzzpaws and this one is truly exceptional. People all over America have family swimming pools and it is a parent’s worst nightmare to imagine their baby boy or girl falling into the water unsupervised. Well this is exactly what happened to Patricia Drauch from Marcellus, Michigan in June 2012. In the end she was very lucky to have Bear, her four year old Black Labrador close by at the time. While walking from her garden to the garage, Patricia believed that her 14-month-old son Stanley was following close behind. Frantically she began searching around the house and into the garden and that is where she found her son, lying face-up in the family swimming pool. If Stanley’s face had been in the water this story would have ended very differently. The fact was, Bear was in the swimming pool too. He had jumped in after the drowning toddler and was balancing the boy on his back so that his head was above the water. Stanley was unresponsive when Patricia pulled him out of the water. She immediately tried to call 911 but was unable get cellphone reception. In a panic she gathered Stanley and her other children, jumped into her car and headed to the emergency services. The closest being Marcellus fire department less than 2 miles from her home. While on the road, Drauch was able to get through to 911 and as she was describing her emergency to the dispatcher, Stanley began spluttering and regained consciousness. Patricia soon arrived at the fire department, where first responders examined the boy, who was conscious, alert and in good condition. 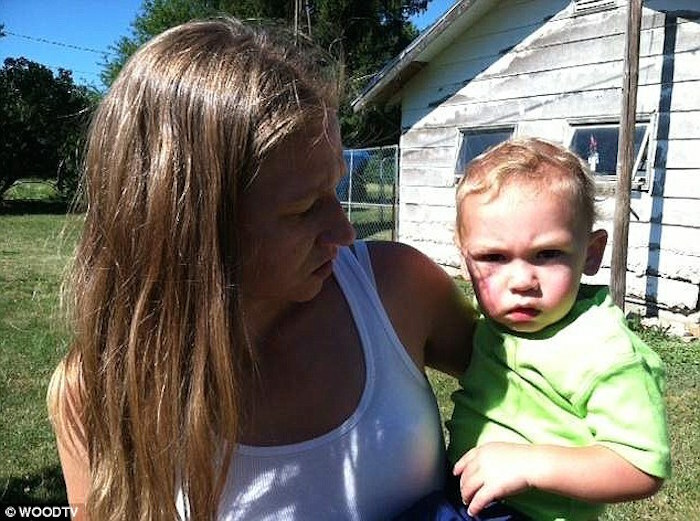 He was then taken to Three Rivers Health by his parents, where he was treated and released a short time later. Though there were no witnesses to Bear’s heroic rescue, Cass County Undersheriff Rick Behnke told News 8 that the vomit found in Drauch’s car was evidence that Stanley ingested water before expelling it — confirming the idea that the toddler nearly drowned before being propped up by Bear. And of course for Patricia Drauch, Stanley and the rest of the family, Bear is a true hero. She added that the family dog had been trained from a young age to care for her children. 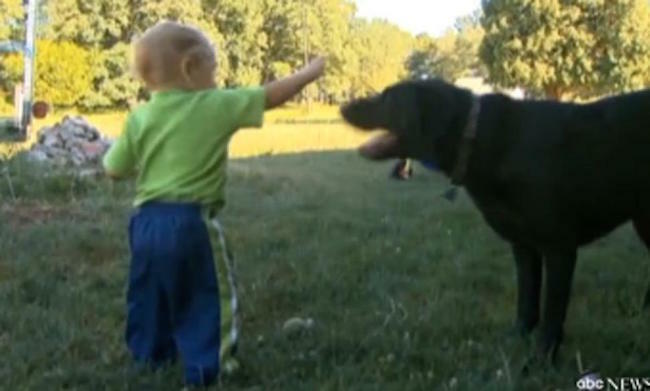 Be the first to comment on "Hero dog saves 14-month-old boy from drowning in the family pool"